Superfood lattes are milk-based (or alternative milk-based) drinks made with some type of superfood. They are known as healthy alternatives to coffee and other espresso-based beverages. Like traditional lattes, superfood lattes are usually served hot, but can also be served on ice as well. 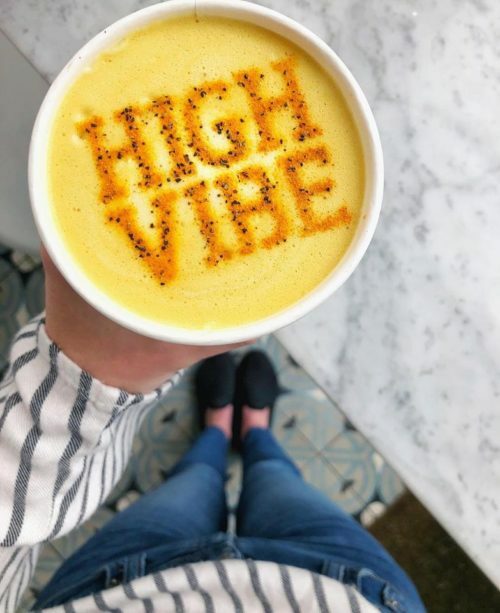 These health-packed lattes became an emerging trend in the mid 2010’s, typically in the form of green tea lattes or turmeric lattes (moon milk). 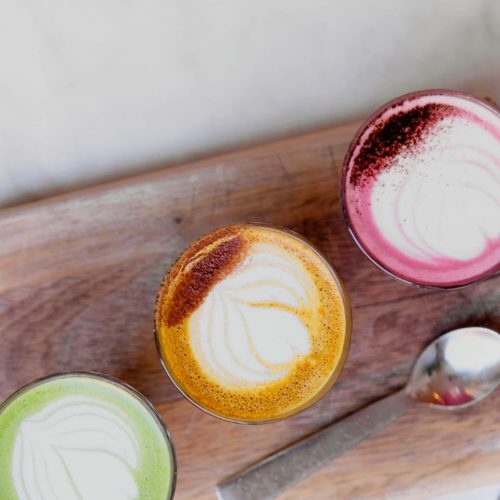 As superfoods themselves became more popular and widespread, their latte derivatives have also gained mainstream attention. 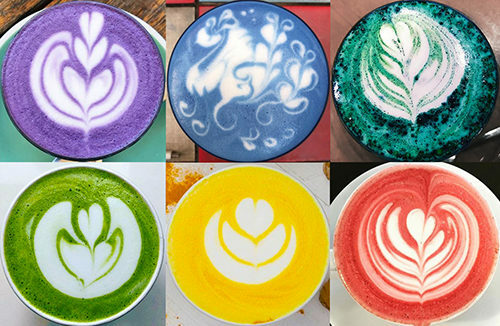 Much of this surge in popularity can be attributed to the fact that superfood lattes can come in all colors of the rainbow leading to the creation of multicolored rainbow lattes, unicorn lattes and glitter lattes…and making them quite the Instagram darlings. With all the different superfood powders and mixes available nowadays, there is practically an infinite amount of combinations available. You can typically get superfood lattes at most trendy health-focused cafes (think “places that serve avocado toast”). 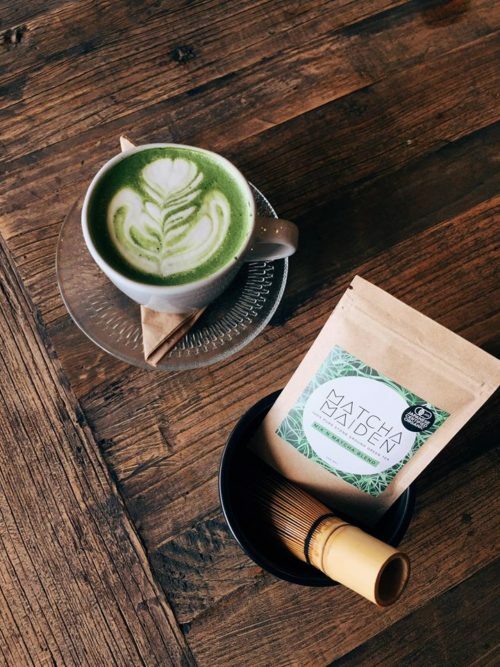 Even Starbucks has had matcha green tea lattes for years…However, their version has been known to be packed with sugar. So, if you’re looking to literally drink to your health, you may want to stick with cafes that actually use healthy ingredients. Here are some that you can check out. You can make superfood lattes easily at home, or pretty much anywhere with a microwave or stove. Any superfood latte is usually made with the same foundation of hot milk and water, superfood powder and a sweetener/topping. Here is a universal recipe you can follow. Don’t hesitate to play around with different combinations and amounts to match your tastes. First, heat water on the stove until it starts to boil. Transfer to cup. Mix superfood powder and optional flavors/sweeteners in the cup of water. Heat milk in steamer, on stove, or in microwave (1 minute 30 seconds) until simmering. Then, froth with milk frother (optional). Slowly stir milk with superfood mixture. 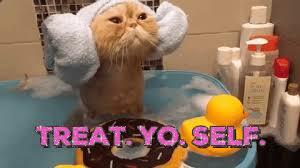 Add any toppings (coconut flakes, chia seeds, cinnamon, edible glitter, etc.) if desired. 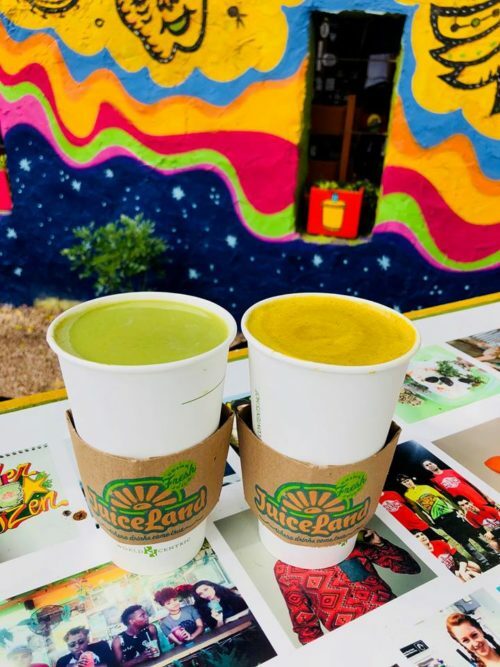 Note: You can make serve rainbow lattes by making different superfood lattes in smaller batches and serving them as a batch in smaller cups or shot glasses. (This is different from rainbow latte art which uses food coloring in milk foam.) 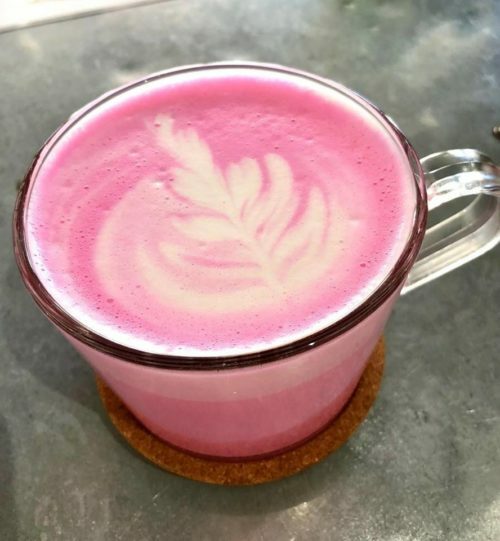 If making unicorn lattes, reduce the amount of powder by at least half and/or add extra milk until a more pastel look is achieved. Remember, there’s no one way to make a superfood latte, so keep practicing till you get it how you like it!